Before you binge on Burger King, munch on those McDonald’s McNuggets or devour those Dunkin’ Donuts, you’ll want to keep reading. That’s because a new study found that a new study, published in the medical journal The Lancet, found that poor eating habits are more likely to result in death than smoking. The study explored 15 dietary factors around the world to assess their role in deaths in each country. High salt consumption was one of the key factors in nearly every country. Additionally, not eating sufficient whole grains and fruit were nearly universally found among the top factors contributing to deaths in each country. While the scientists prioritized the dietary habits from worst to least bad in each country, it is important to keep in mind that they found that all of these dietary habits contributed to death. So, don’t underestimate the problems of high red meat consumption, for example, which certainly contributes to death from cancer or heart disease, among others, it simply wasn’t as bad as low whole grain consumption, low nuts and seed consumption and high sodium consumption in the United States. Many other countries had the same dietary problems, but not necessarily in the same order of severity. 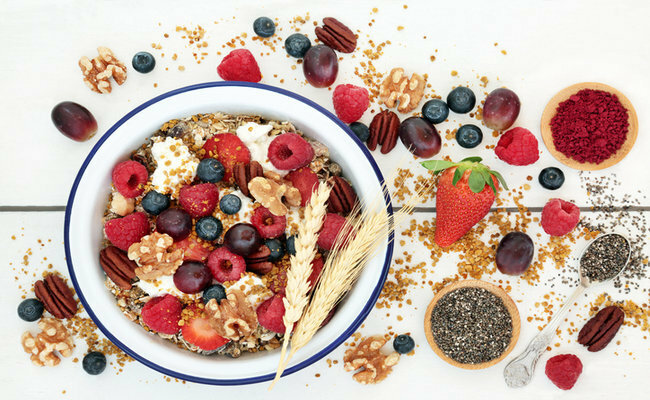 There are many excellent whole grains you can add to your diet, including: brown rice (technically a seed, but it still counts), 100% whole grain bread (anything less is just white flour with a small amount of whole grains added), oatmeal for breakfast, to name a few. It’s easy to snack on raw, unsalted cashews, almonds, pistachios or other delicious nuts or to drink almond milk or spread almond or cashew butter on your whole grain toast. Stop shaking so much salt on your food, eating high-sodium fast foods or packaged foods. Add herbs to flavor your meals and eat more home-cooked options. Make fruit your dessert of choice—whether it is a bowl of frozen blueberries that taste like blueberry sorbet or raspberries, strawberries or sliced peaches. Fruit like apples, pears, grapes or fruit makes a great snack as well. By making vegetables the star of your meals and not just the side dishes, you’ll likely reduce your red meat and processed meat consumption while also reaping the benefits of more vegetables. Not a fan of veggies? That simply means you’re eating them in the same old boring ways and need to get your hands on a great plant-based cookbook. Roasting vegetables helps to bring out their naturally-delicious flavors. It’s worth the effort to do a little experimentation in your kitchen. Wild salmon, raw walnuts (unsalted, of course), and chia seeds are all great sources of anti-inflammatory Omega-3s. Simply add more salmon to your dinners, snack on walnuts or add them to a salad or trail mix, and add more chia seeds to your smoothies and breakfast cereals.